Wendt MK, Schiemann BJ, Schiemann WP. Upregulation of oncogenic FGFR splice variants facilitates the inherent resistance of metastatic breast cancer to EGFR-targeted therapies. Under Review, Breast Cancer Research. Balanis, N.*, Wendt, M. K.*, Schiemann, B. J., Wang, Z., Schiemann, W. P. and Carlin, C. R. (2013). Epithelial to mesenchymal transition promotes breast cancer progression via a fibronectin-dependent STAT3 signaling pathway. J Biol Chem 288(25): 17954-17967. Wendt MK, Schiemann WP. The Multifunctional Roles of TGF-β in Navigating the Metastatic Cascade.TGF-β in Human Disease. ISBN 978-4431544081. Editors: Aristidis Moustakas and Keiji Miyazawa. Wendt, M. K., Schiemann, B. J., Parvani, J. G., Lee, Y. H., Kang, Y. and Schiemann, W. P. (2013). TGF-beta stimulates Pyk2 expression as part of an epithelial-mesenchymal transition program required for metastatic outgrowth of breast cancer. 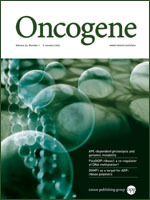 Oncogene 32(16): 2005-2015. Wendt, M. K., Tian, M. and Schiemann, W. P. (2012). Deconstructing the mechanisms and consequences of TGF-beta-induced EMT during cancer progression. Cell Tissue Res 347(1): 85-101. Wendt MK, Schiemann WP. Regulation of TGF-β Signaling and Metastatic Progression by TumorMicroenvironments. Signaling Pathways and Molecular Mediators in Metastasis. 2011: p.115-141ISBN 978-94-007-2557-7. Editor: Alessandro Fatatis. Wendt, M. K., Molter, J., Flask, C. A. and Schiemann, W. P. (2011). In vivo dual substrate bioluminescent imaging. J Vis Exp(56). Balanis, N., Yoshigi, M., Wendt, M. K., Schiemann, W. P. and Carlin, C. R. (2011). beta3 integrin-EGF receptor cross-talk activates p190RhoGAP in mouse mammary gland epithelial cells. Mol Biol Cell 22(22): 4288-4301. Wendt, M. K., Taylor, M. A., Schiemann, B. J. and Schiemann, W. P. (2011). Down-regulation of epithelial cadherin is required to initiate metastatic outgrowth of breast cancer. Mol Biol Cell 22(14): 2423-2435. Drury, L. J., Wendt, M. K. and Dwinell, M. B. (2010). CXCL12 chemokine expression and secretion regulates colorectal carcinoma cell anoikis through Bim-mediated intrinsic apoptosis. PLoS One 5(9): e12895. Wendt, M. K., Smith, J. A. and Schiemann, W. P. (2010). Transforming growth factor-beta-induced epithelial-mesenchymal transition facilitates epidermal growth factor-dependent breast cancer progression. Oncogene 29(49): 6485-6498. Wendt, M. K., Smith, J. A. and Schiemann, W. P. (2009). p130Cas is required for mammary tumor growth and transforming growth factor-beta-mediated metastasis through regulation of Smad2/3 activity. J Biol Chem 284(49): 34145-34156. Wendt, M. K., Allington, T. M. and Schiemann, W. P. (2009). Mechanisms of the epithelial-mesenchymal transition by TGF-beta. Future Oncol 5(8): 1145-1168. Wendt, M. K. and Schiemann, W. P. (2009). Therapeutic targeting of the focal adhesion complex prevents oncogenic TGF-beta signaling and metastasis. Breast Cancer Res 11(5): R68. Wendt MK, Allington TM, Schiemann WP. Regulation of epithelial-mesenchymal transition by TGF-β innormal and malignant cells. Human Epithelial Tumor Cell Plasticity: Implications for CancerProgression and Metastasis. 2008: p.155-180 ISBN:978-81-308-0275-6 Editor: Paul J. Higgins, PhD. Wendt, M. K., Drury, L. J., Vongsa, R. A. and Dwinell, M. B. (2008). Constitutive CXCL12 expression induces anoikis in colorectal carcinoma cells. Gastroenterology 135(2): 508-517. Zimmerman, N. P., Vongsa, R. A., Wendt, M. K. and Dwinell, M. B. (2008). Chemokines and chemokine receptors in mucosal homeostasis at the intestinal epithelial barrier in inflammatory bowel disease. Inflamm Bowel Dis 14(7): 1000-1011. Wendt, M. K., Cooper, A. N. and Dwinell, M. B. (2008). Epigenetic silencing of CXCL12 increases the metastatic potential of mammary carcinoma cells. Oncogene 27(10): 1461-1471. Moyer, R. A., Wendt, M. K., Johanesen, P. A., Turner, J. R. and Dwinell, M. B. (2007). Rho activation regulates CXCL12 chemokine stimulated actin rearrangement and restitution in model intestinal epithelia. Lab Invest 87(8): 807-817. Wendt, M. K., Johanesen, P. A., Kang-Decker, N., Binion, D. G., Shah, V. and Dwinell, M. B. (2006). Silencing of epithelial CXCL12 expression by DNA hypermethylation promotes colonic carcinoma metastasis. Oncogene 25(36): 4986-4997. Smith, J. M., Johanesen, P. A., Wendt, M. K., Binion, D. G. and Dwinell, M. B. (2005). CXCL12 activation of CXCR4 regulates mucosal host defense through stimulation of epithelial cell migration and promotion of intestinal barrier integrity. Am J Physiol Gastrointest Liver Physiol 288(2): G316-326.